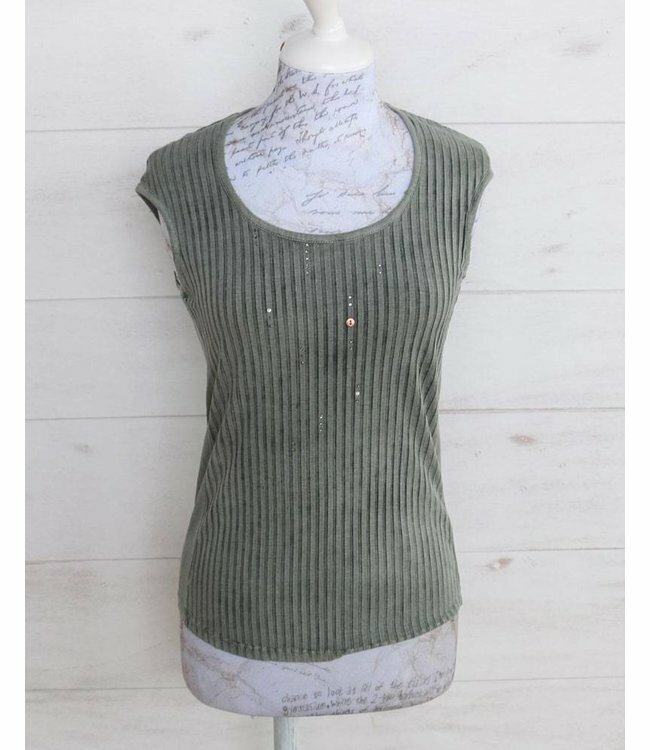 Closely fitted, slightly stretchy basic top in a shade of faded green. The top features a slightly textured fabric on the front, while the back is made from a smooth material. The front is trimmed with diamante and accessories.